Growing a beard is a commitment…It’s a commitment that we know the Vikings took seriously. To the Vikings the Beard was a Sign of power and wisdom with Norse Sagas telling us of women competing over who gets the best man, with the best Beards regarded as a sign of virility. The Vikings used their Beards in intimidating inhabitants of foreign lands, whilst charging at them with their battle axes and their spears. The Vikings also used their beards for more practical reasons, such as keeping their faces warm during the freezing Scandinavian winters and protecting their skin from wind burns on the Icey seas of the North. Thus they would take great pride in looking after the hair that covered their faces.. Here are a few tips on growing your Viking Beard. Hold off from any styling or trimming FOR AT LEAST THE FIRST MONTH of growing your Viking Beard. We like to call this ‘The Four Week Rule’. You are more than likely going to cut off more than you wanted, meaning you’re going to have an uneven looking Beard and set you back in your Beard growing progress. The reason we recommend the ‘Four week rule’ is because, generally, this is the point that most people’s Beards will begin to join up. For some people this may take longer so BE PATIENT!!! Now it’s quite easy to forget about the skin lying beneath the mass of hair that sits upon it. Buts it’s incredibly important for your Beards growing journey to look after the skin that provides the strong platform and feeding ground for that perfect Viking Beard. Use an exfoliator to scrub away any mud, sweat and claret. This keeps the skin free of dead skin cells that cause the dreaded ‘Beard itch’ and ‘Bearddruff’ and helps with the beard growing process, making way for more hair to push through. Us Vikings and our Beards are a breeding ground for filth and stinking odours. It’s Important to cleanse your Beard with a suitable Beard shampoo. This will cleanse and condition your beard without stripping natural oils away which can leave it dry and brittle. The skin on our face is a lot more sensitive than the skin on our head, so Vikings with particularly sensitive skin will benefit more from a Beard shampoo. Keep an eye for our Beard shampoo bar coming soon! Now that you’ve scrubbed that dead, grimey skin away, cleansed and got rid of that stench from that Viking Beard, it’s time to replenish it with goodness and moisturise the hair and skin that supports your beard. Beard hair takes moisture away from the skin, the external environment (especially when you’re standing on a Viking ship in the middle of the North sea) will then dry out your Beard, leaving you with flaky skin and a hard, coarse beard. 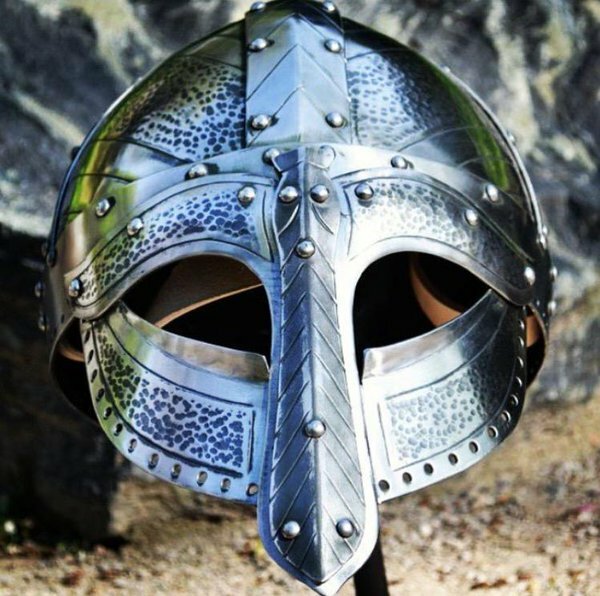 Our VikingBeardStuff Beard oil will moisturise the skin and the hair from the follicle to the tip. This will soften even the coarsest of Beard hairs as well as preventing ‘Beardruff’ and the dreaded ‘Beard itch’ giving you and your Viking Beard a nice sheen and healthy look. Known as the most coldblooded leader that the Viking world had ever seen. 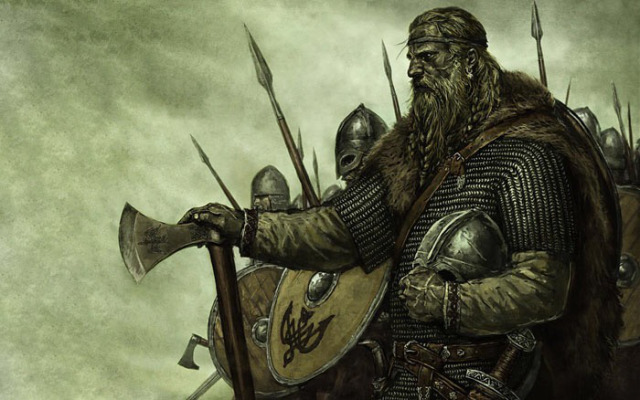 Harald Hardrada was a giant of a man renowned for his victories he had won as a mercenary in the elite Vangarian guard. 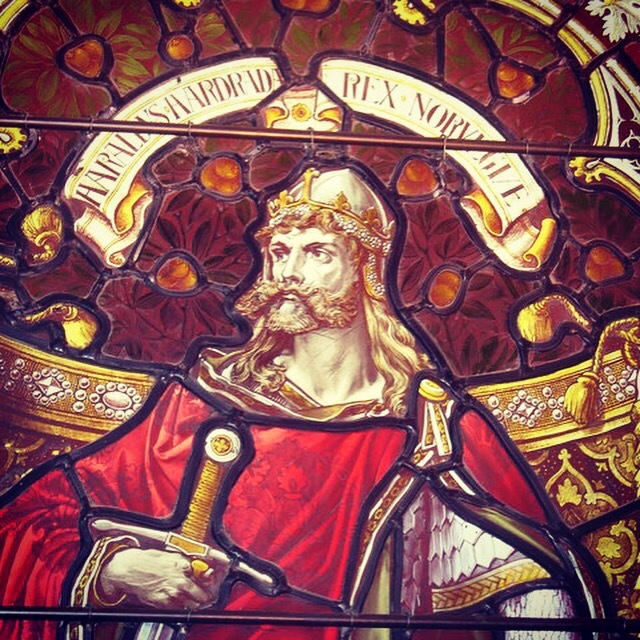 His reputation for crushing enemies and his continuous warfare earned him the nickname ‘Hardrada’, (Hard Ruler). Almost seen as god like, Norse sagas had said he once sailed to the end of the earth just to take a look over the edge. Born in 1015, Harald ‘Hardrada’ Sigurdsson was the son of the Norwegian king, Sigurd the Sow. At the age of 15 Harald fought his first battle alongside his brother, Saint Olaf, It would also be here where he would witness his brother get hacked to death on the battlefield of Sticklestad. We are told that he faked his own death to gain access within a fortified city in a coffin, only to jump out and tear down unsuspecting inhabitants with his axe, his men following swiftly afterwards ambushing the city and taking everything in their sight. It is said during his final moments at the battle of Stamford Bridge in York, he tore off his chainmail armor in a berserk fury, hacking down numbers of Englishmen until he was finally taken down by an arrow which ripped through his throat in year 1066. “Odin’s men rushed forwards without armour, were as mad as dogs or wolves, bit their shields, and were strong as bears or wild oxen, and killed people at a blow, but neither fire nor iron told upon them. This was called Berserkergang”. 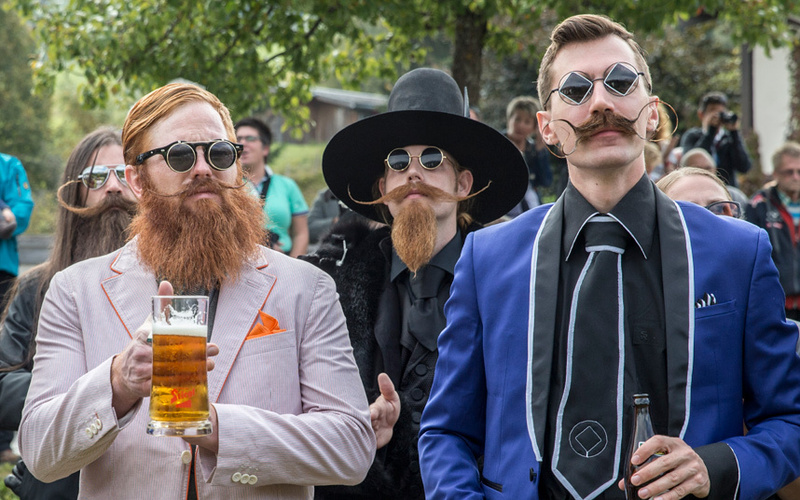 Over 300 contestants from around the world have gathered for the World Beard And Moustache Championships in Leogang, Austria.